Province 5 Security specialises in the supply of professional licenced security officers for all types of contracts. 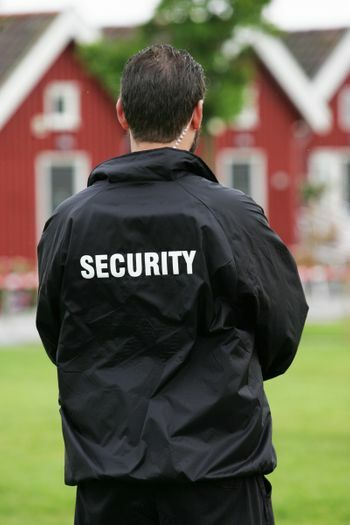 Established in 1998 by Alfie Kavanagh, Province 5 Security Ltd. - Meath Security Service specialises in the supply of professional licenced security officers for all types of contracts. Operating from our new offices at 25 Railway Street, Navan, County Meath, Ireland, (formerly of Haven Enterprise Centre), we are a large employer with a fleet of 8 marked security patrol vehicles equipped with CCTV and satellite tracking. P5S also operate at international level. We are proud to have some of the biggest clients across Dublin and the North East, providing maximum return through Province 5 Security's efficient and effective services. We will always adhere to the highest standards, knowing that the quality of our service and the dedication of our people build trust and strengthen relationships. We are the sub-contractors (north of Dublin) to many major security companies in Ireland. Our company is fully insured and compliant with all current legislation regarding security service. We are licenced by the Private Security Authroity, Reg. No. PSP 00463. For more information on our mobile patrol service, get in contact with us. Managing Director: Alfie Kavanagh M.Sec.I.I S.I.T. Alife is a qualified Irish Security Authority Trainer who holds an Irish Private Security Authority Licence (Static Security and Door Supervisor). He is also qualified and trained internationally in the following: Tactical Firearms for Bodyguards, Hostile Environment Close Protection, and Tactical Firearms for Anti-Piracy Operatives. He has over 40 years’ experience in the emergency services, working for Meath County Council as a full-time Operational Fire Station Office in Navan, working alongside An Garda Siochana and the Ambulance services. He is an international Fire Service and Vehicle Rescue Instructor and is a former member of the Airport Police at Dublin Airport. Alfie is a member of the Security Institute of Ireland. Sharon joined the company in 2003 and is responsible for the day to day operations of the company. Her consistent proficiency and professionalism contributes to the excellent standard of quality and efficiency we provide to our clients. Sharon’s areas of responsibility include: managing the supervisory team, preparing and amending site instructions site inspections, staff training assessments and quality control at all levels of the organisation. Sharon attended college at DCU where she obtained her diploma in Supervisory Security Management. She is a member of the Security Institute of Ireland and is also licensed by the Irish Private Security Authority; she holds an Irish Private Security Authority; Static Security and Door Supervisor Licence. Noel joined the company in 2009. He holds an Irish Private Security Authority Licence (Static Security and Door Supervisor). He is also qualified and trained internationally in the following: Tactical Firearms for Bodyguards, Hostile Environment Close Protection, and Tactical Firearms for Anti-Piracy Operatives. His areas of responsibility within the company include: Bodyguards, Close Protection Officers, and Conflict Management. 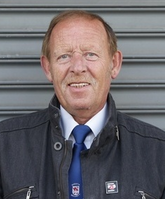 He has over 20 years’ experience working in the security industry and is our lead security management officer. Noel attended a course run by the security institute of Ireland, where he obtained his diploma in Asset Risk Management at Advanced level.